Cairo, Egypt; October 15, 2018: Visitors to Gitex technology Week can experience two new series of WorkForce Pro, single function and multi-function printers for busy offices at Epson stand hall 4, E4-10. The new printers will have Epson’s signature inkjet technology, low environmental impact, low intervention and high productivity for small workgroups wanting both A3 and A4 capability. The WF-C8690, delivers improved performance for A3 printing in this segment, while the WF-M5799DWF, deliver fast, reliable and high-yield A4 mono printing with a low Total Cost of Ownership (TCO). 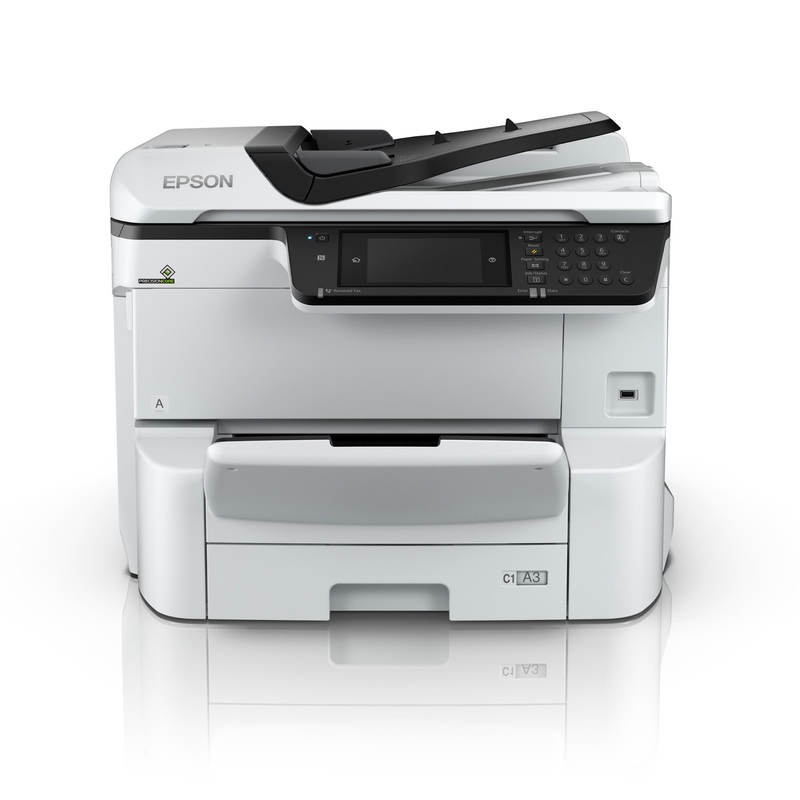 For business customers looking to have A3 capability in their printing, but not requiring the very-high print yield of Epson’s Enterprise or RIPS devices, the WFC8000 series is ideal. Not only delivering everyday A4 documents quickly, with a First Page Out Time (FPOT) of 5.5 seconds, it also opens up a range of uses for A3 documents, such as in-house leaflets, brochure drafts for proofreading, Excel spreadsheets, construction site plans, worksheets for classrooms, booklets and much more. Equally, the WF-M5000 series meet the demands of businesses where a robust mono printing solution is required with a competitive TCO for use in small workgroups with a high print volume. Its impressive ink yield of up to 40,000 pages – the highest in its segment 1– helps to deliver this low TCO, while offering minimal user intervention. This not only boosts productivity, but its non-heat and noncontact printing process also allows for extensive media flexibility. Printing with these models uses at least 90% less energy than comparable laser models, helping to reduce environmental impact and lowering users’ energy bills. And this is all while still managing to deliver a first page out time of 4.8 seconds, faster than comparable laser models. Built especially for business, both series offer software and tools that meet the needs of different users. Tools and software such as Epson Print Admin, Document Capture Pro and Epson Device Admin, add additional functionality – more than just print and scan. Epson Open Platform and our work with ISVs add extra solutions, such as PaperCut print management software.